Lynnwood stoners have tons of options for October events, and there are loads of places to go to snag a rad costume. 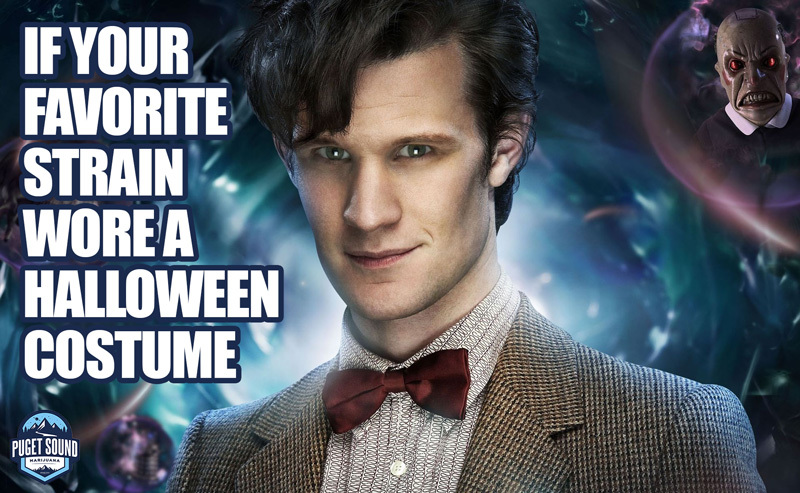 Now, we know it can be tough to decide what to dress up as, and nobody wants to wind up with nothing to wear on the 31st. 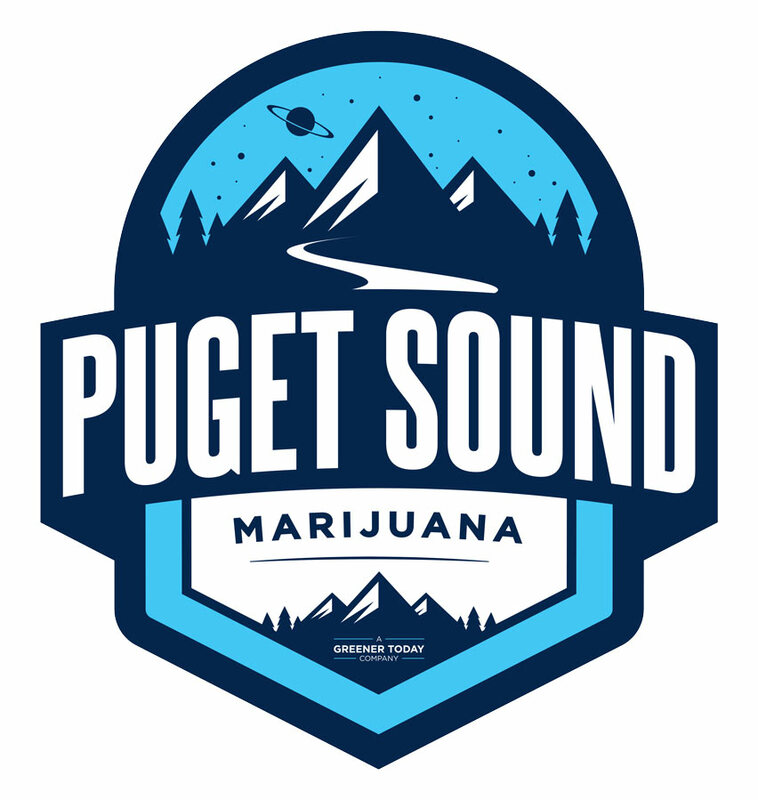 So take some time to get the creative juices flowing by smoking some of Puget Sound Marijuana’s sweet bud, and checking out what your favorite strain is going as for Halloween. You’ll have plenty of great ideas in no time. This indica-leaning strain would of course go as the lead character from the British cult-classic. So what’s crazy fun about this pick? Spoiler alert: Through the almost 30 seasons of this science fiction series, there have been approximately 12 “official” doctors. If you’re down to go as Time Lord, you’ll be able to find all of the necessary props — from the Doctor’s pocket watch, to your very own TARDIS — on ThinkGeek. That said, we think the good Dr. is a curious fellow, so we think he’d be exploring one of the many haunted houses in Washington State. The buds of this hybrid have an invigorating citrus aroma, feature a nice blanket of trichomes, and promote intense body relaxation. 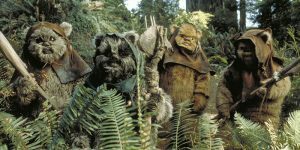 And just like the intergalactic species it takes its name from, we’re going to say Ewok wouldn’t understand the notion of All Hallow’s Eve, and wouldn’t likely take time to get educated on a random holiday that only happens on Earth. But whatever. Indulge the spirit of Ewok by making a haunted tree house, and invite over all your favorite humans and Wookiees. Rainier Beer — known locally as “Vitamin R” — is dearly beloved by Lynnwood locals. But one little-know fact, however, is that in 2004 a bear stumbled on a Baker Lake campsite, and drank 36 cans of this Seattle-area staple. Authorities actually know the ursine intruder actually preferred Rainier, because after trying one can, he ignored the large quantity of Busch nearby. Now, there are tons of great places to find a costume near Mukilteo, but Halloween City stands above the rest by offering realistic prosthetics and masks, so we say if you want to emulate your favorite strain this year, get a rocking bear suit, and always have a Rainier within reach. This potent hybrid is best matched to the intensity and seriousness of Richie Tenenbaum. In the famous tennis match meltdown scene from The Royal Tenenbaums, Richie sports a grimace and sweatband as he loses to Ghandi with his family in the stands. One dab of this sugar wax will make you feel like you’re wearing the exact same headband — and maybe just as introspective. Out of satirical rebellion, this strain named after a near-threatened species is going as one of these six rich folks who get a kick out of killing cherished and endangered wildlife in Africa. Feeling us on that one? Then stop by the Lynnwood PAWS shelter and donate some time to local animals in need.